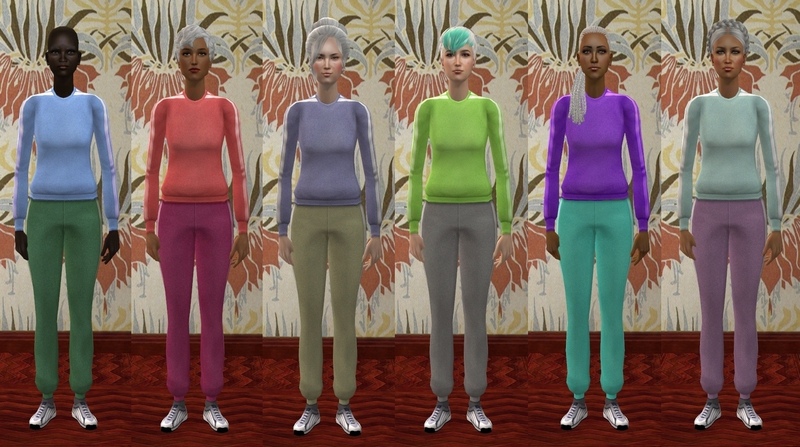 New set of colorful maxis mis-matched athletic outfits. This time for elder females. These were previously found in everyday,but are mostly usable in athletic. I have no free time,or i'd have done something similar with the children outfits as well. See related teen outfits here.